The biology major is conducting research in Bergen, Norway, with scientists from the U.S. and Europe. 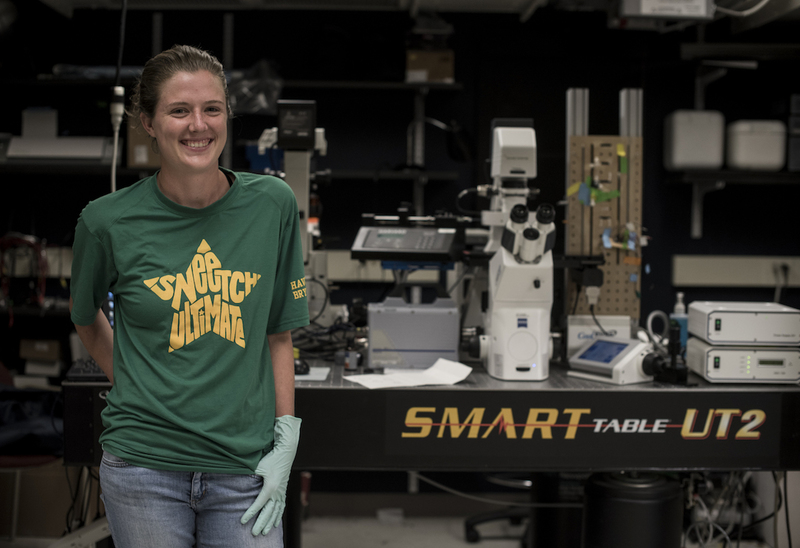 To help fund the journey, Schrecengost earned a Frances Velay Womens' Science Research Fellowship, which encourages women’s leadership in the sciences, through the Koshland Integrated National Science Center (KINSC). The Marian E. Koshland Integrated Natural Sciences Center's programming and funding supports the faculty and students of the departments of Astronomy, Biology, Chemistry, Physics, Psychology, Mathematics and Statistics, and Computer Science as well as others within the college who wish to pursue research in the sciences.